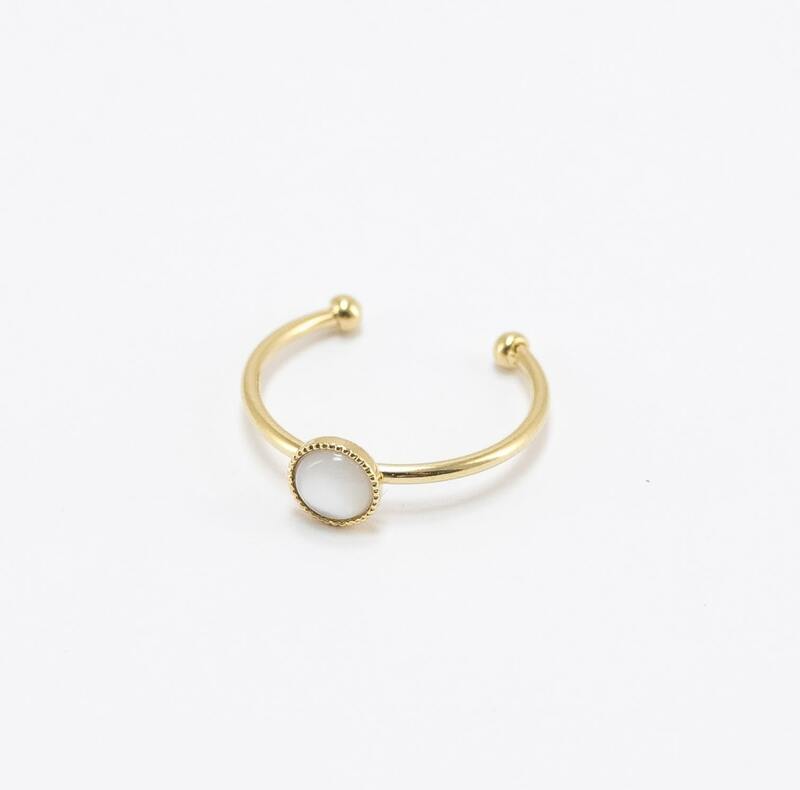 Adjustable gold-plated 3 micron ring (24 carats) Real Mother of Pearl Fits all fingers Designed and made in Paris About the brand: In Paris, not far from the Buttes Chaumont: it is there that hides the workshop of Marie-Olivia Luthier, the founder of "Viadoli". Material: Real Mother of Pearl (white) and gold-plated 3 micron ring (24 carats). Care: do not put your jewellery in contact with water, perfume or cosmetics. When jewels are not worn, it is best to keep them away from light and moisture. Les Saintes Chéries in Paris, France.